The Hawksbill Sea Turtle has been identified as the first known bioflourescent reptile by David Gruber; while studying flourescent reefs. In the waters of the Solomon Islands, sheer chance revealed to science that the Hawksbill sea turtle glows in the dark. While studying other well known fluorescing corals and reef sharks, David Gruber an Assistant Professor of Biology and Environmental Science at City University of New York (CUNY), utilized a specially equipped camera and serendipitously captured a Hawksbill turtle sporting a stunning array of colors, making the Hawksbill the first known bioflourescent reptile. David Gruber’s approach reveals that the neon patterns observed on the Hawksbill are due to biofluorescence; where certain wavelengths of light are absorbed by fluorescing protein that re-emit a different color light. Professor Gruber’s camera was constructed to project blue light wavelengths normally observed in the ocean. Gruber’s camera includes a yellow filter to further capture light re-emitted by the Hawksbill’s fluorescing proteins. 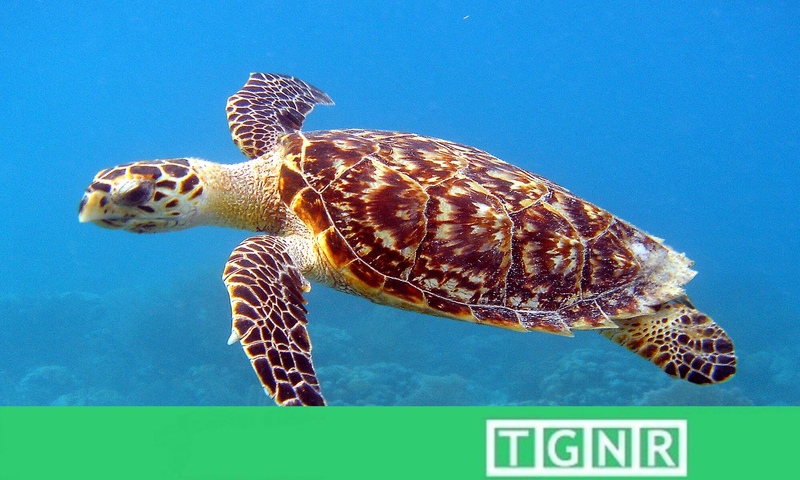 The Hawksbill turtle’s appearance on film was brief. Gruber’s team however managed to locate a local community that kept a small population of Hawksbills. Gruber exposed the Hawksbill to similar conditions in the original underwater experiment, and found they, too, glowed red in the yellow filter. Many other creatures on land and underwater have demonstrated the luminous trait, however this is the first ever observance in a reptile. Hopefully Gruber’s discovery will aide conservation; while further promoting greater awareness of the critically endangered Hawksbill sea turtle.